2,500 sq. ft. Proposed Extension & Refurbishment to existing 120 year old house. pictured above. Rush, Co. Dublin. 100,000 sq. 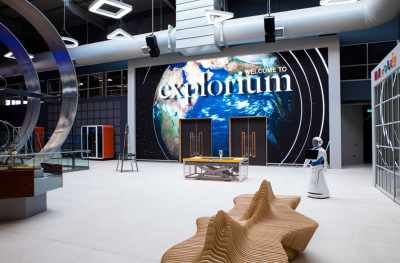 ft. Explorium - National Sport & Science Centre, Sandyford Dublin. 4,000 sq. 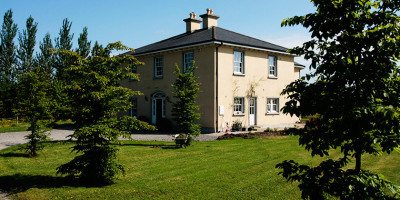 ft Traditional Two Storey, One Off House, Ashbourne, Co. Meath. OH Architecture is a new, vibrant and enthusiastic Architectural firm. Our architects / designers have experience in a wide range of projects across all sectors. Here at OH Architecture we understand that many clients may have busy and hectic lives, with that in mind we wish to ease the strain on clients by meeting outside of standard work hours if required. Monday to Friday 8am to 8pm & Saturday 8am to 2pm. We were not really sure what we wanted and what we could afford, OH Architecture couldn't have understood this more, they designed 3 options varying in size & costs. Needless to say we choose the scheme that fit our budget & are delighted with our finished home. I originally contacted OH Architecture as they offer an out of hours service that suited my working life. I still can not believe how lucky I have been choosing them, as they have completely transformed my home and the way my family interact with each other in the amazing spaces created. Paul Bury, Rush, Co. Dublin. OH Architecture was recommended by a good friend, I met with a number of Architects, but I felt that the level of attention and enthusiasm shown at our meeting far exceeded the others. That enthusiasm never faltered throughout the whole project. Joan Evans, Blackrook, Co. Dublin. OH Architecture really helped guide us in our decision making and clarify what we needed in our space. Our home is bright, spacious and welcoming, transformed beyond our expectations. From the day we appointed them to the day the project was completed, they held our hand and always welcomed all our questions. We recommend OH Architecture 100% and if we ever need Architectural services again they will be the first port of call.